Late this morning Iowa time, a record number of women will be sworn in as members of the U.S. House of Representatives and two of them are women from Iowa. Abby Finkenauer of Dubuque from Iowa’s first congressional district and third district representative Cindy Axne of West Des Moines are the first two women from Iowa to be elected to the U.S. House. They join a record 102 women who’re taking office today. 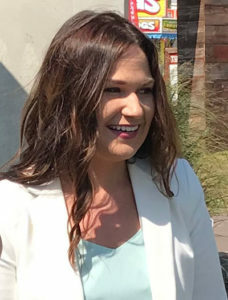 Finkenauer is the second-youngest woman ever elected to the House. She turned 30 on December 27.